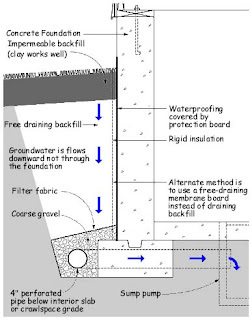 The most common source of water under homes is ineffective downspouts and missing splash-blocks or drains. Inspect them regularly for failing mounts, crushed downspouts, and proper drainage. 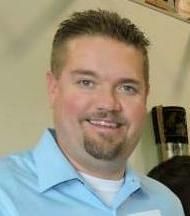 Water in crawlspaces or basements can cause major damage. 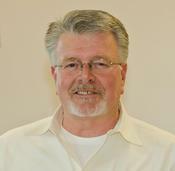 Many homes have water problems and the solutions can range significantly in cost to remedy. You always should start with the simple and cheapest solutions. Everyone should walk around their homes in the worst weather, at least a few times a year and look to see how the gutters and downspouts are working. 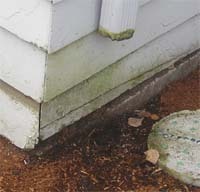 Moss, leaves or other debris can easily clog downspouts and gutters will overflow, possibly causing damage to roofs, fascia and soffits as well as flooding areas below grade. 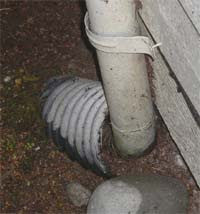 Keep then cleaned and maintained, make sure all downspouts are discharging away from the building. 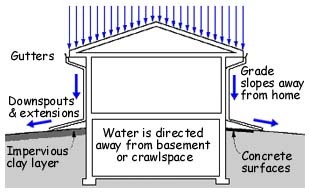 If the water puddles next to the foundation, it is likely to end up in the basement of crawlspace. 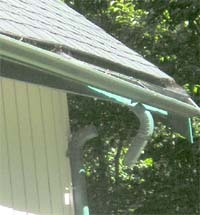 Make sure mounts are tight and there are no low spots along gutter runs. Clean them at least once a year, usually after the leaves have dropped in fall. Some homes need more frequent cleaning. Be careful with landscaping edging and planter boxes, as they often will cause water to puddle. 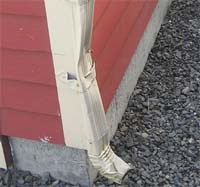 Never allow downspouts to discharge in low areas like planters, but instead carry water several feet away from the building. This option is very effective at capturing water and draining it away before it can work its way under the home. In some homes where the water table is high and drainage is poor, you have to deal with the excess water with drains or pumps. Drains are useful when there is a suitable location to hookup the pipes to. Often times you are facing a situation where there is on location low enough to have gravity do the job, and in these cases a pump is the best answer. 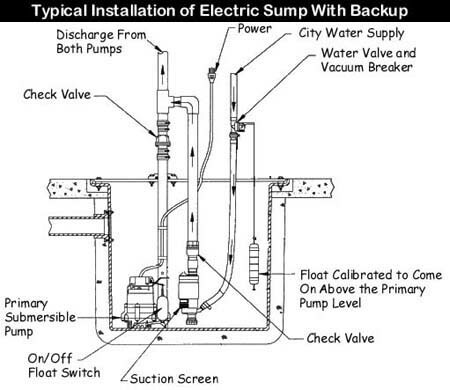 We recommend that you consider a backup pump in situations where its failure can cause significant damage or flooding. If there is a power failure or the pump breaks down, the backup can be very important. One type of a backup pump is powered by the water supply to the home. These have the advantage of mechanically simple, relatively inexpensive and can do the job until you repair the primary pump or the power is restored. This type of pump does waste water, so they are not to be used as a primary pump, only a backup. 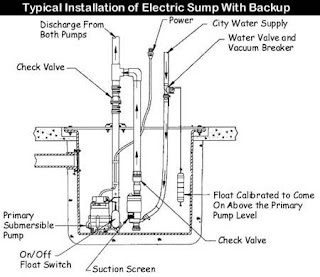 See a video on installing a water powered sump pump here. When the power goes out, you will be glad you have one!